Sometimes a child's eyes may appear to be crossed, but they are found to actually be straight. This condition is called pseudostrabismus. This "optical illusion" is generally created by an infant's facial structures. Essentially, there is "extra skin" on the sides of the nasal bridge that cover the "whites" of the eyes and give the appearance that the eyes are misaligned. Typically, as children grow they mature into the facial features and pseudostrabismus becomes less noticeable. This appearance is frequently noted mainly in pictures, because pictures are usually taken slightly off center, which can exacerbate the appearance of a misalignment.  Children with pseudostrabismus can also have a true misalignment of the eyes, so it is important to have them evaluated by a pediatric ophthalmologist if there are any concerns.